Flower delivery in Izhevsk, Russia region are available in the following cities: Glazov, Mozhga, Kambarka, Paravay, Sarapul, Sep, Sundur, Votkinsk. Ordering flowers with Megaflowers is as easy as one-two-three. 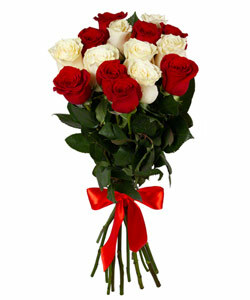 We have thousands of flowers and a large variety of ready-made bouquets. If you want to congratulate your father or uncle with an occasion and don’t think that flowers are appropriate, take a look at hundreds of our potted plants. Potted plants can also be a great gift for a colleague: they can make any office more cozy and live wonderfully under the halogen lights of the office environment. Take a look at “Violet”, “Childhood Aroma”, or “Flame of Love”. All these are bright and beautiful plants that will make your loved ones happy for years to come and everyone around them wish that they had such attention. If you need advice on which flowers or plants are better for a specific attention, you can read a lot about flowers, their colors, their meaning, and much more on our website. For example, do you know that white flowers are often given to ask for forgiveness? Yellow and red flowers promise a woman happiness and everlasting love. If you can’t find information on what interests you, our professional florists are available 24 hours per day to consult you on any of your questions. For years Megaflowers has been bringing exceptional service to customers worldwide. We work directly with local flower growers and other partners, which is why our flowers are always fresh, beautiful and vibrant. Combined with excellent delivery service, we become the best in the business. 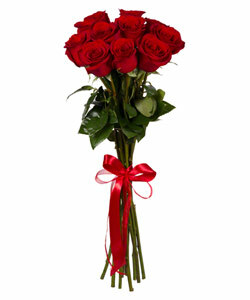 With Megaflowers you can request for the flowers to be delivered today, or store you order for a future date. With all this information, ask yourself: “Why should I wait to send flowers to Izhevsk ?” There is no good answer!